Fears are growing that a professional gang of thieves is operating in the Horsham area targeting expensive BMW cars. 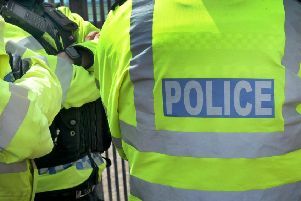 One £30,000 vehicle was stolen from outside a house in Billingshurst last week and an attempt was made to steal another from a garage at the same property. A third vehicle was reported stolen from an address nearby. The thefts follow two previous incidents on October 17-18 when two BMWs were stolen from the Southwater area. Earlier this year, back in March, three BMWs were reported stolen from separate addresses in Storrington. And he added: “These are organised groups of people using sophisticated methods to remove these cars. He said his wife’s car was worth around £30,000 and his car - which was damaged - was worth even more. A police spokesman said: “A car was stolen from outside a property in Billingshurst around 4.30am on November 2. The BMW was located a short distance from the property. “The victim reported an hour earlier at 3.30am he had seen two men interfering with another BMW. He went outside and the two men ran off. “A BMW was also reported as stolen overnight from Silver Lane in Billingshurst.